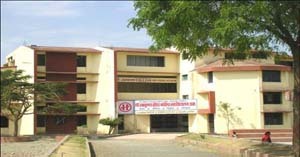 Shree Ramkrishna Vidhyalaya is renamed and converted into Shree Ramkrishna Krida Vidhyalaya (Sports School) in the year 1976-77. A partially residential school started with the objective of providing sports training to selected students who have sports talents in them. A long term experiment undertaken by the Mandal, has started giving good results in a short time. When young sportsman, gymnasts, athlets, and swimmers trained here had won their places at school level, state level and national level tournaments, and brought honours to the institution. Many of the sports persons trained in this school and thereafter in Mandal's College of Physical Education had been absorbed in Govt. Services and in other establishments as coaches, sports officers and efficient physical education lecturers and teachers. This Vidhyalaya had also won incentive awards of the State Govt. for its special achievement in sports field. The State Govt. also permitted the Mandal to start the Junior College attached to the Vidyalaya from the year 1981 onwards. Now, the Ramkrishna Krida Vidyalaya is the only school of its kind in the Maharashtra State having residential and sports facility. Continuous records of sports and academic excellence with a strength of 2400 students. Students of this school earn the place in Merit List in H.S.S.C. Exam every year. The Junior College has 6 branches - viz. Arts, Science, Commerce, Computer Science, Information Technology and Electronics. There are three aditional courses in the branches of Electrical, Electronics, Accounting and Auditing under the M.C.V.C. (Minimum Competancy in Vocational Courses) Scheme.